U.S. Girls started off their cozy smoky intimate show at Monarch Berlin with our song on repeat “Rosemary”. Not afraid of shrill vocals, Meg Remy and her co-singer played with distortions and little vocal and instrumental dissonances,. The songs were either coloured in lingering gloomy wave sounds, or as a crazy persiflage of danceable 60s girl bands and 70s disco sondalike themes and samples, incorporated the spirit of catchyness within the weirdness, ready to be distorted into noisy soundscapes at any time. Wow! Here an anthem of procrastination for an early weekend! 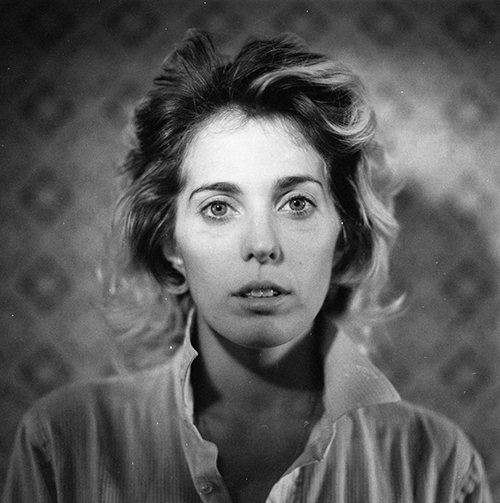 Find more info on Meg Remy alias U.S. Girls’ release “Half Free’, her debut album for 4AD here.